Like I said, many guilds – including mine, take great care to build friendships and bonds, but many of those are within the framework of the game or the guild. Outer Rim Templars takes it to that next level by knowing members on a first name basis and planning real world events to keep the fun going outside the gaming world. ORT also strives to help grow the community in-game through working to develop alliances and relationships with other guilds on their server. How did this all come about and how are they enjoying SWTOR, we will find out as we get to know more about the Outer Rim Templars. How did this guild get formed? Our guild formed many years ago in Star Wars Galaxies, and through the years, we have tried to stay together as much as we could. 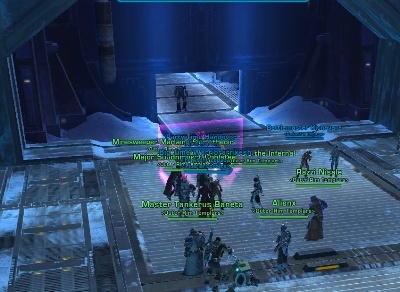 When SWTOR was announced, we knew we would reform in some way. After Launch, we focused on just finding our footing and then we built. What started as just a few friends keeping together has turned into one of the best communities I have ever taken part in. Is it correct the guild originally has its links back to Star Wars: Galaxies? How has that helped with building the guild in SWTOR? It is very correct. 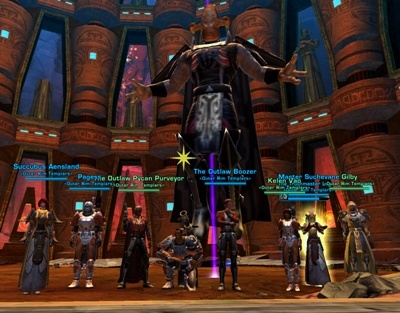 The original guild, Templars of Lok, started during Pre-CU on the Naritus server in SWG. I came along during the rebuild of ToL, and became the guild leader and attempt to reform the guild to keep friends together. I spent many years playing within the confines of other guilds, I saw what I liked and didn’t like, and used that as a motivation to build ORT. Can you tell us what faction and server is associated with the Outer Rim Templars? ORT is a Republic guild on Jedi Covenant, however we do have our own Empire guild (Fallen Templars) to give our community a place to house their Sith Alts. How did the guild’s name come about? The Outer Rim Templars name is a direct link back to our SWG guild. We looked at many different names before launch, and I wanted a way to tie in the Templars of Lok name in a game when the planet didn’t exist. A lot of our ideas were somewhat bland, and certainly not original (as apparently on launch day when one of the ideas for a name was used by another guild). The final choice was made due to Lok’s placement on the planetary map, so Outer Rim seemed to be the logical choice. On your website, you claim to be “more than just a guild.” Can you elaborate on the meaning behind this statement? Do you believe this type of mentality is lacking in the gaming community in general? My dream of how ORT should be has been based on the friendships I had in SWG. Here, I wanted to push that much further here. I feel that the most important part of any guild is the people you associate with on a day to day basis. We know each other by a first name basis (even list it in the member notes), we talk both inside and out of SWTOR, using our website as a major communication tool for that. We have even organized guild functions outside of the game, this year having a meet up at Chicago Comic Con, and other events coming sometime soon. I feel that this kind of environment is lacking in almost every gaming community, and the ones that have built a similar environment know that there is something to building a guild around a core friendship. It keeps you interested in the environment, no matter the game, and makes you want to come back day after day to just be around your friends. OTR having a good time in-game & in the real world too! I also played SWG and enjoyed that sandbox MMO. Even though it was a different style of MMO, what is one thing you wish could be incorporated from it into SWTOR? Player housing is the one thing to bring from that game into SWTOR, without question. I would use my decorated Bunker to hold guild meetings, use it as a guild hang out. I spent an unbelievable amount of hours there. On your site, there are specific nights, called “guild nights.” Can you tell us about them and what is unique about each night? Guild nights are about the community, getting everyone into our Mumble server, and just being around each other. We have one every week, and it varies from World Boss hunting, to Exploring each planet for Codex Entries and Datacrons. These are separate from our major guild events that we hold. Guild events is one of the guild nights listed on the website, what specific guild events does ORT host or has hosted in the past? ORT holds Quarterly Guild Events. These are HUGE undertakings, which end up being something that we are very proud of here. They take roughly a month to plan, and about 3+ hours to complete. At the end, we give real life rewards for them. For instance, our first Quarterly Event, the ORT Amazing Race, gave the players the opportunity to win a 60 Day Game Card! Our second Quarterly event, the ORT Scavenger Hunt, we stepped it up even more, offering another Game Card, as well as a complete Collector’s Edition Box set, with the winner picking the prize they wanted. Your guild, like other guilds, has a mission statement. How did the guild come by this mission statement? I find the last sentence of the mission statement very well worded, how does the guild work to implement that sentence? We have a very strong belief that everyone should be able to participate within the guild, and within their means. We have weekly Gearing Ops to help get people ready for an Open Progression. We work to always include everyone, no matter skill, gear, or physical capabilities. 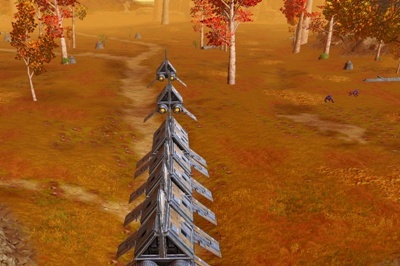 They want to help members gear up, so they can participate in OP runs, like this one here. Watch the music video montage of their Explosive Conflict run earlier this year. Outer Rim Templars is recruiting, correct? Can you tell our readers what classes/advance classes the guild needs? ORT is always recruiting. We are actually looking for any and all classes and roles. We like to offer as much as we can as a guild, from PvP to Ops. For our Open and Closed Progression Teams, we are currently looking for geared and experienced Tanks to fill a couple spots, and we are also currently building a strong 8 man team for PvP as well, so those interested in helping us build that aspect of the guild are encouraged to apply! However, as mentioned before, we will always work with the members we have to achieve our goals. For those interested in joining or wanting to find out more information concerning the guild, how is the best way for them to contact Outer Rim Templars? Visit our website, or contact any of our Officers. Our website has a wealth of knowledge, and can generally answer most questions that someone may have, but our Officers are never afraid to take the time to sit down and help potential new recruits to answer any questions. Want to join the OTR guild “fun train”? Not only is your guild looking to recruit, but ORT is actively looking for alliances and/or join forces with other guild. How is ORT going about this? If there are guilds looking to merge or form an alliance who should they contact? ORT has a strong belief in expanding our community beyond just a name tag. We have done this in two ways, as you mentioned. The first is through Mergers. Since ORT started during Pre-Launch, we have always looked for ways to grow. The easiest way is to bring in guilds that may have the people, but perhaps they are missing something with leadership, or want to find a way to just expand without losing anyone. We have had 3 mergers in ORT, and each one being a success. We streamline the process, and work hand in hand with the Guild Leaders or Officers of the respective guilds that will come to us to be sure that no one is lost in the crowd. Our last merger was with Defenders of the Faith, a guild which you have even shown here in the Community Spotlight. The second is through Alliances. We have built our website to include people who are just looking for other guilds with common goals that are maybe looking for a little help here and there, or maybe we need people to help us fill in a spot here and there. This allows us to always participate; because I hate seeing people sit out of any event. Between our website and our in game chat channel, we try to always keep the lines of communication open as much as possible. For either a merger or alliance, I would highly suggest the Guild Leader or Officers to contact me directly. I could hopefully steer them in the right direction and possibly answer any additional questions they may have. Thanks to all the officers and members of the Outer Rim Templars for being a part of this week’s Community Checkpoint on Corellian Run Radio. I want to take time give special thanks to the guild leader, Miallen, of OTR for all his help this past week. 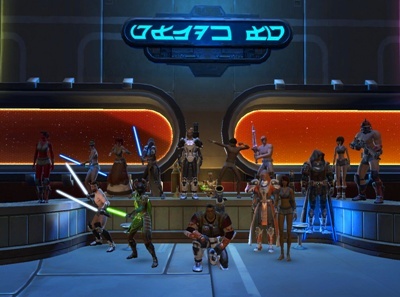 If you are looking for a guild that focuses on building relationships with members, as much as they focus on the game, then get in contact with any of the members of the Outer Rim Templars.